Choosing the best programming language for your company’s next web development project can be a daunting task. 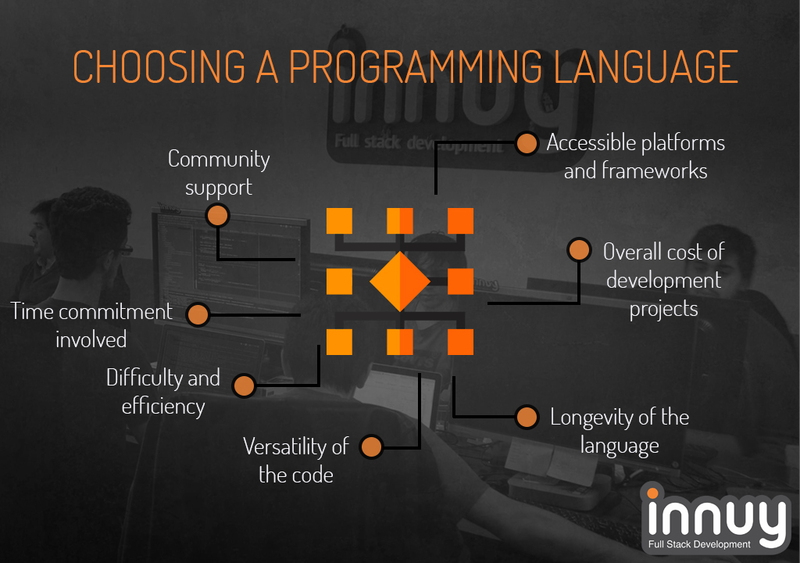 There are many factors to weigh when considering which programming language will be the best fit. Often, choosing a coding language involves trade-offs--some languages will offer more versatility, but also lead to a longer, most costly project. Python’s ease of syntax, for example, allows for quicker development. This increased productivity typically allows for less work hours, which leads to a less expensive overall project. Another consideration -- some coding languages don’t have a long lifespan. So if you’re creating a website or mobile app that needs to remain fresh and modern for many years, you need to forecast which coding language that ages well. For example, in the early 2000’s, PHP and Ruby on Rails seemed like an exciting trend; however, very few developers use these languages in 2019. The best way to balance of benefits versus detriments is to take a close look at the unique needs of your specific project and decide which language fits best. While non-technical project managers may be more likely to rely on their developer’s expertise, it’s important to have a basic understanding of the benefits and detriments of specific programming languages. Likewise, more tech-savvy project managers will benefit from a more in-depth look at the features, versatility, and cost-savings of a Python development project. With all of the trade-offs involved between coding languages, it’s important to have some basic criteria to consider when determining which language fits your specific project. 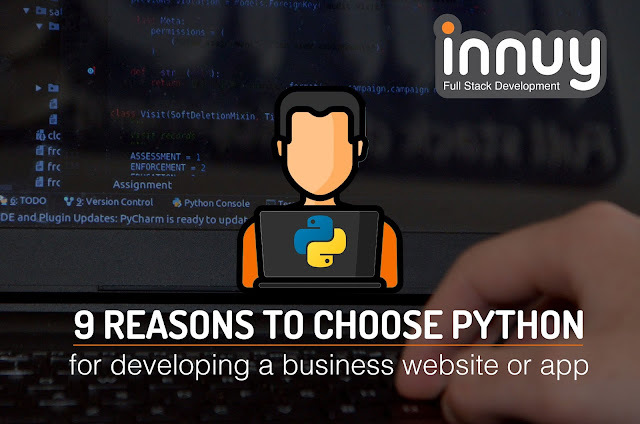 For the purposes of this article, let’s take a look at the Python programming language, measuring it against each of these criteria and exploring the benefits of the code. Python is rapidly rising in popularity. As the number one programming language of 2017, and data from Stack Overflow forecasts Python outgrowing all over programming languages--including C, Java, and C++. Internet giants like Reddit, Instagram, Pinterest, and YouTube utilize Python as their development language. Each of these social media platforms need an immense amount of coding versatility to create entirely unique and dynamic websites. Also, because these popular social media websites use Python, it increases the likelihood that Python’s customer support, accessibility, and efficiency will last for a long time. Because Google has listed Python as their first and foremost choice, most of Google’s tools are developed with Python frameworks in mind. This makes Python a safe bet for integration into Google’s cloud services and Google Apps--making it a perfect fit for Google partners. This integration with Google also ensures the longevity of the Python language. Python has a wide community of passionate fans and developers who enjoy discussing the language, troubleshooting issues, and sharing their latest code. These coders run everything from a message board community to actual conferences and local events for Python enthusiasts. Many open source communities are devoted to Python, with thousands of programmers across the world working together to improve Python’s core functionality and add features. There’s even a Python Wiki, where people can search for specific topics--or even write a topic and share their knowledge! Should your team ever need support or assistance on a Python project, it’ll be easy to find answers online. These features not only make Python easier for developers, but also easier for end-users, since your team will be able to easily integrate a Python website or mobile app into the automation software you’re already using. 6. Python is Free -- It’s a Core Value! One of Python’s core values is to remain open source and free. Therefore, the entire set of supporting tools, libraries, and modules are totally free. Integrated development environments like Pydev with Eclipse and Spider Python can be downloaded for free. The open source mentality and “we’re in this together” community environment leads to expanded development resources and code being made available--for free--as time goes on. As we’ve already seen, Python supports open source code-share, and easily integrates with third-party software. Along these same lines, the Python Package Index (PyPl) contains third-party modules that maintain Python’s proficiency in interaction with other languages and platforms. PyPI – Python package index contains third-party modules that makes Python proficient in the interaction of other languages as well as platforms. The Python language offers ease of syntax that allows programmers to complete code in less steps, especially when compared to Java or C++. Python accomplishes this by including an embedded dictionary of data structures, which allows coders to create fast runtime data structures. Dynamic, high-level data typing shortens the length of support code required to make a program. In short, Python allows for less typing, which means faster coding. Python’s constantly-growing libraries and open source support communities make it a great choice for any development project. Whether your team is developing a Mobile Application, Web App, AI, Data Science, or IoT, Python provides a dynamic and proficient framework that is gaining popularity with complex apps and social media websites across the Internet. Many software development companies use Python because of its efficient syntax, growing features, and versatility of code. If you have a development project in the works, our team of experienced Python developers can help your company create a dynamic, unique, integrated project. Call our team of web developers at +1 252 723 5982 or contact us to learn more about our services and all the benefits of using Python for your next development project.